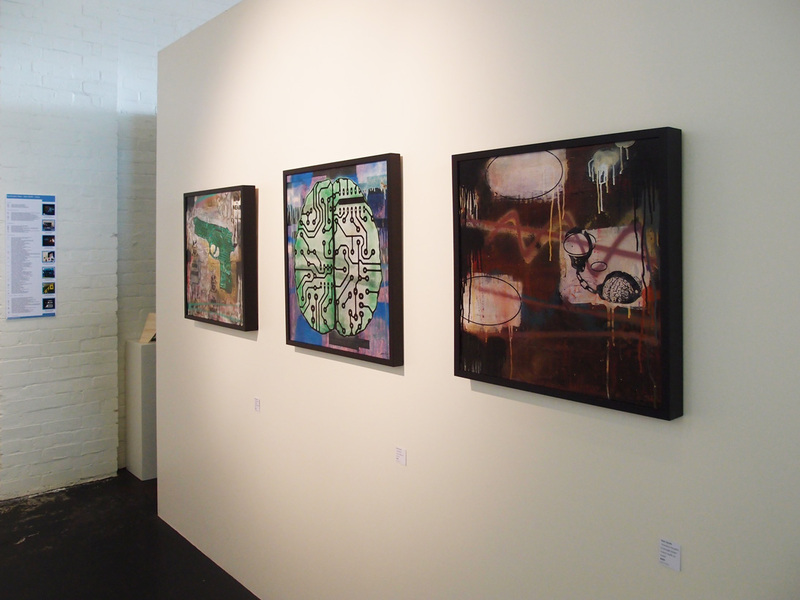 Recently(Last Friday), Boom Gallery opened their latest show ‘Big Boom‘. It coincided with the galleries expansion which sees the gallery nearly double in size…which is massive thing for Geelong, being that the gallery was already fairly large! 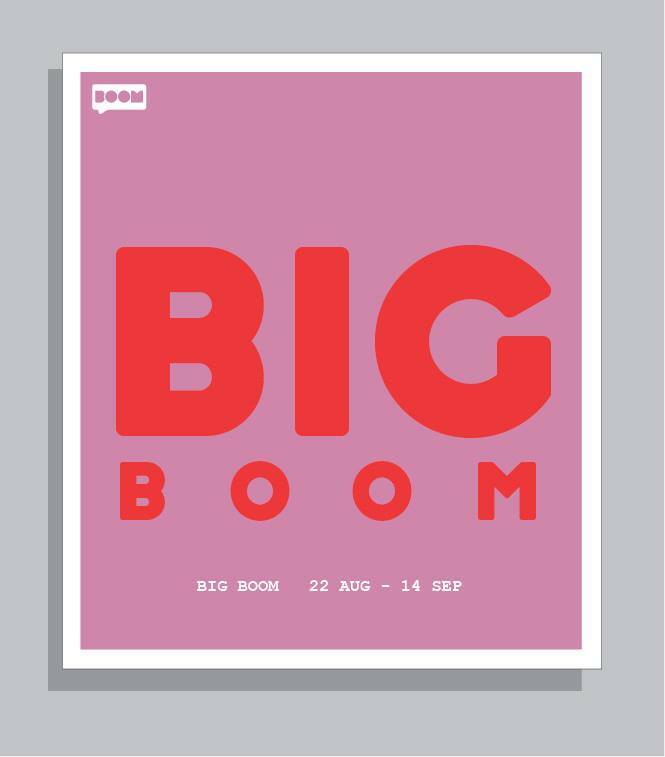 The Big Boom exhibition was a group show with about twenty artists work on show including; Jeff Raglus, Tibor Novak, Anita Iacovella and many more. So although eclectic, the show is bound to have something that will cater to everyones tastes. It runs till the 14th Sept, so pop in and have a look if you want to see some fresh art. 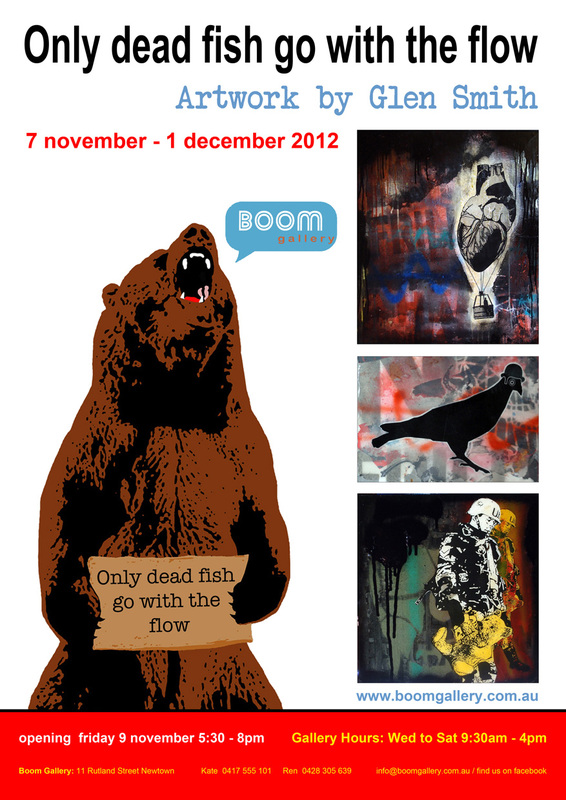 Further Info: www.boomgallery.com or find them on Facebook. Below is one of the works that I had in the exhibition. 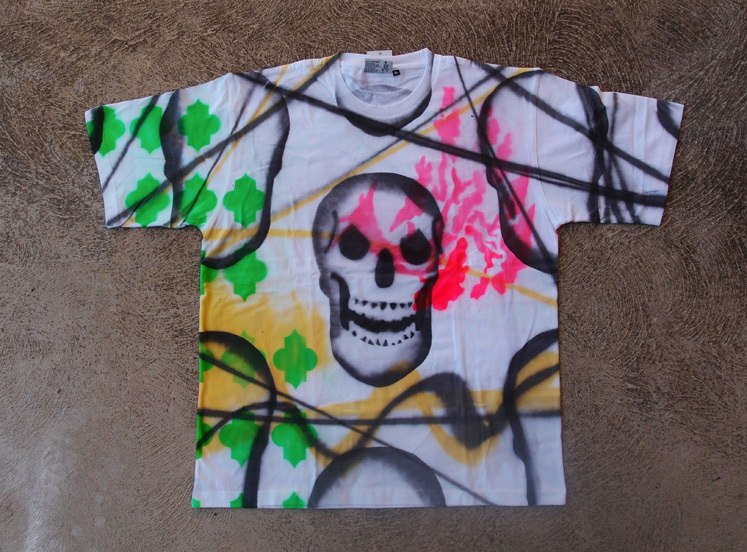 I decided to use the fact that I only had to put in a few works to be a little experimental and put in some straight stencil works that were stripped right back to give a design edge to them. A bit different and less busy than my usual work. I have been back painting more little bits and pieces at the Eureka, I have been doing a bit of graphic design for ‘Future Digitals’ a new media concept/group starting in the northern suburbs/Cloverdale. As well as all this, I am also currently working on a large scale paste-up collaboration with Darren Wescomb as a feature for the upcoming Geelong Fringe Festival (Pictures coming soon!). Further info on the Geelong Fringe visit www.courthousearts.org.au . It has been a while since the fringe festival has been in Geelong so be sure to get along and support it. a little sticker run for the next art jam session coming up at my studio. It seems like it was just yesterday that I put up all the work for my solo exhibition down at Boom Gallery…but as they say in the classics, all good things must come to an end! So if you haven’t seen the show yet you have till Saturday arvo to see it. Anyway, moving forward I have a couple of new(probably still wet) artworks in the upcoming Boom Chrissy show. So if your around drop in for the opening and have a few quiet ones, enjoy the artwork on show by a wide range of artists from the greater Geelong region and celebrate christmas with the gallery. Well it has been a few days since opening night of ‘Only dead fish go with the flow‘. However I think I have needed a little time to recover…and regain energy before I got around to posting about the opening. The lead up to the exhibition went without hitch. Hanging the show went smoothly(Thanks Ren! ), and we also got a little article in the local paper a few days before opening night which was great. Overall, everything seemed to travel nicely. Opening night itself was amazing with over a hundred and fifty through the doors, although hectic with non stop conversations everyone seemed to have a fun night and the feedback on the show was all very positive. 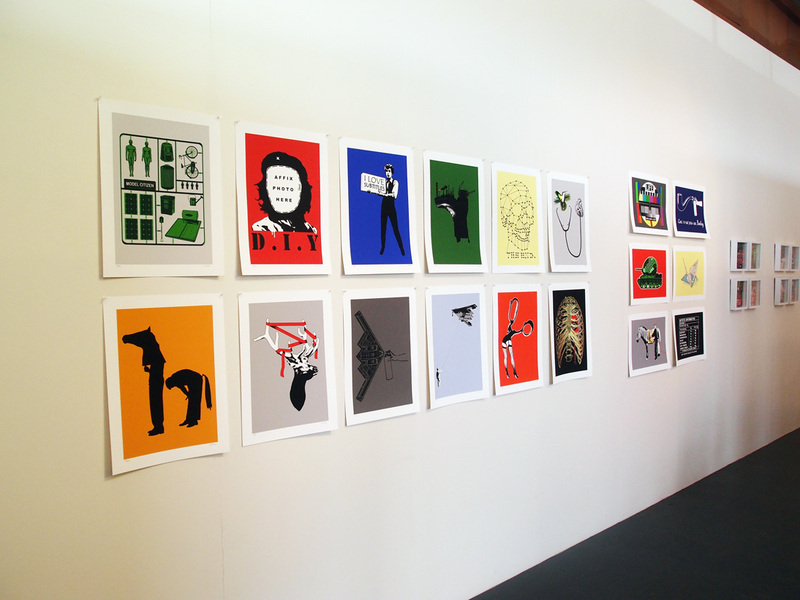 We managed to sell fourteen artworks which was great for both the gallery and myself. To my amusement we also managed to drink the galleries entire wine supply, which I hear was a first for them! So thanks to everyone who came along for the opening and to those who have popped in to have a look at the show since it opened. And if you haven’t been through yet, the exhibition runs till Sat 1st Dec.(Further details on my previous post or at the Boom Gallery Website). I have also got an interview about the exhibition and my practice in general over at: Artin’ Geelong. (Thanks Deirdre!) It’s a great read for anyone who wants to know a bit more about my work. 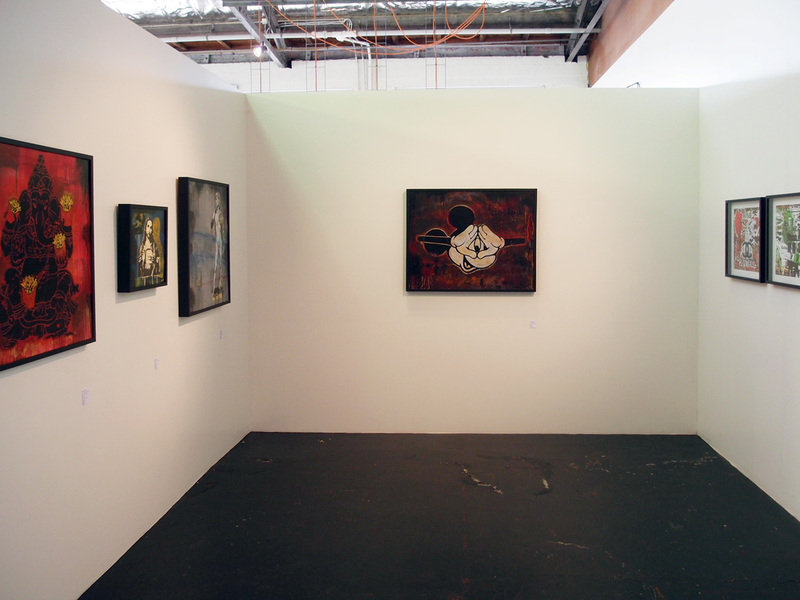 Below are a few shots of the works on show just prior to the opening. I didn’t get any crowd shot due to not having any free time at all once it started, but I’m sure others will have some. So I will have to chase them up at a later date. This is not all the work in the exhibition, as there is about fifty works on show. But it should give an overall impression of how the show looks and feels. I think the work goes really well at Boom Gallery as they have a cool industrial aesthetic throughout which seems to compliment my style. Just a shout out for my upcoming solo exhibition in November at Boom Gallery in Geelong. The show is titled ‘Only dead fish go with the flow’, and will be a massive exhibition with about 50 works…my biggest show to date. So if your around on the 9th of November between 4:30 – 8 pm pop into the gallery for the opening…All are Welcome! 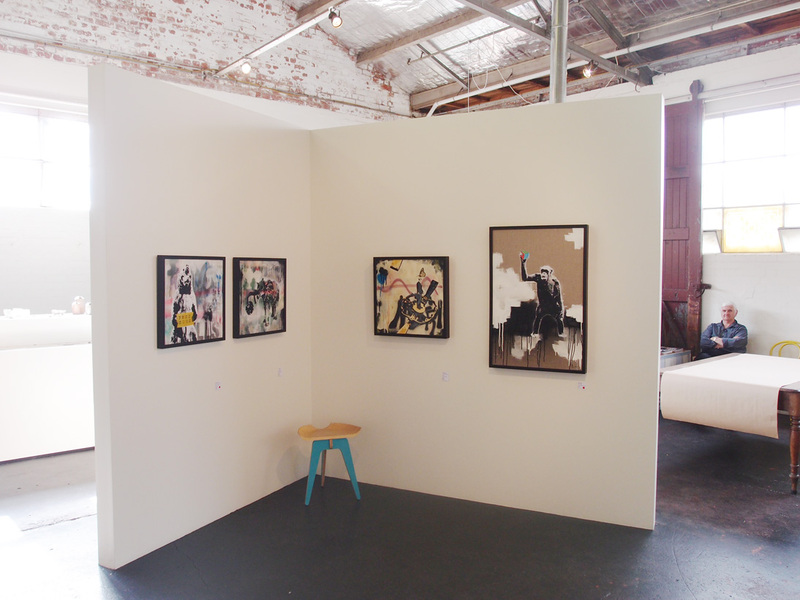 Alternatively, the show runs from 7th Nov – 1st Dec and is open Wed to Sat 9:30 – 4 pm. I would love for you all to drop by and say hello at the opening or pop in while it’s on to enjoy the artworks(They also do a good coffee inhouse!). 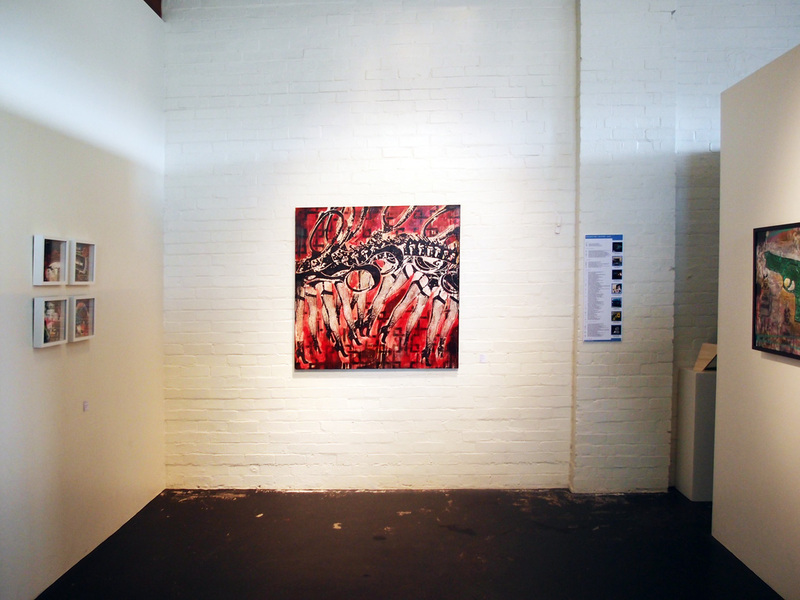 ‘Only dead fish go with the flow’ is a new exhibition of paintings by Geelong based contemporary artist Glen Smith. Filling the entire space at Newtown’s Boom Gallery, this extensive solo exhibition investigates a range of issues as diverse as matters of the heart through to political and social commentaries. Heavily influenced by street art and its aesthetic, Smith’s paintings are urban and gritty street level snapshots of contemporary society. 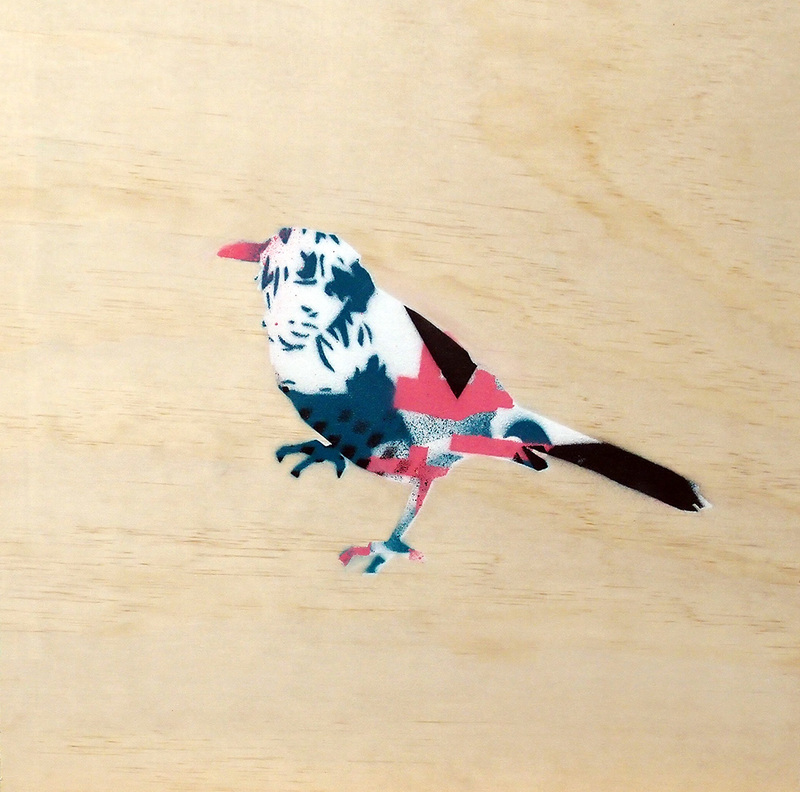 Through stencils, paste-ups as well as traditional painting techniques the artworks in the show are designed to make the viewer reconsider the state of the world and present new ways to look at issues in life. This is Smith’s first solo exhibition in over five years and has been a massive undertaking with over fifty artworks on show. Definitely one local art exhibition not to be missed this year…so be sure to mark it on your calendar. 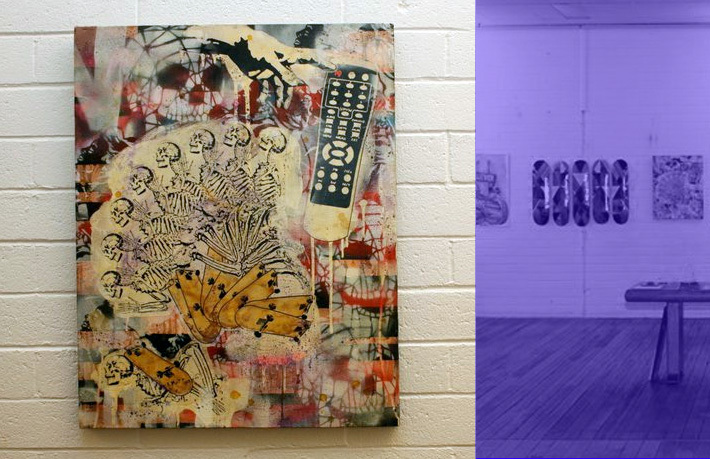 Boom Gallery is Geelong’s newest Contemporary Artspace. 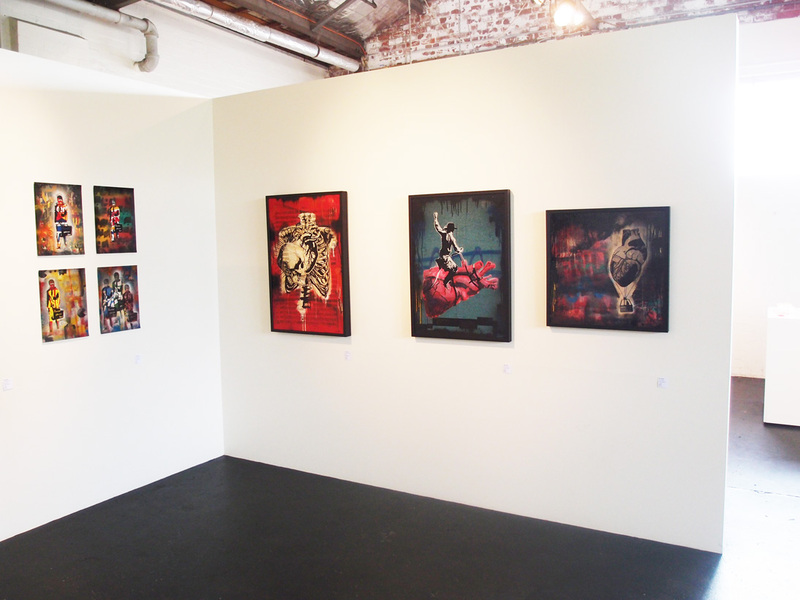 It can be found at Boom Gallery: 11 Rutland St Newtown, Geelong. 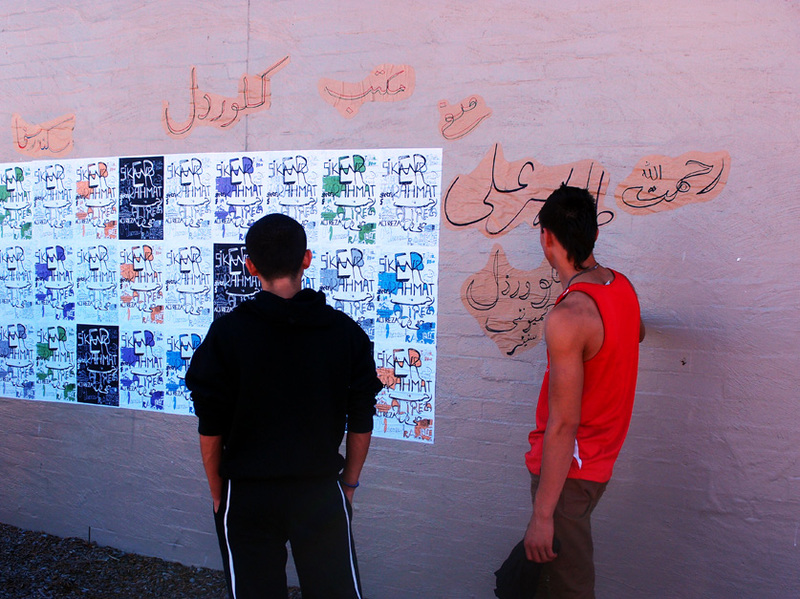 Recently I had the privilege of working with a group of boys from Afghanistan on a Stencil/Paste Up workshop. After getting past the initial stage of figuring out the level of language skills, which to my surprise was very high considering the boys had only been in the country for about six months, we spent two days focusing on urban art. Day one we created a series of tags, as names were a common denominator between myself and the participants. Then we created a series of poster designs using both English and Darhi/Pashto and undertook a paste up session on the community centre where we were working. 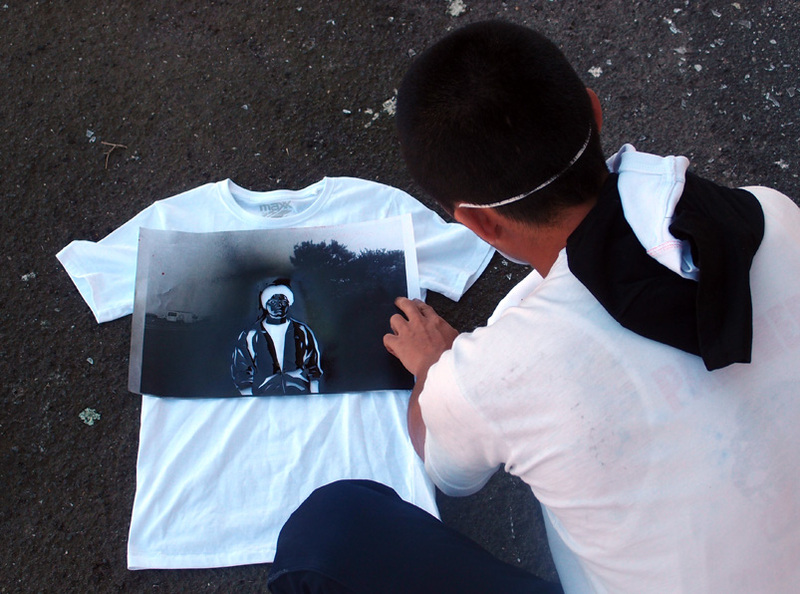 On the second day we worked our way through creating stencils which we then applied to T-Shirts. I think this was the session that gained the most positive response…then again who doesn’t like to get their hands on spray cans? So a big thanks to all those who took part! In other news I have a piece of Art in the show opening below. 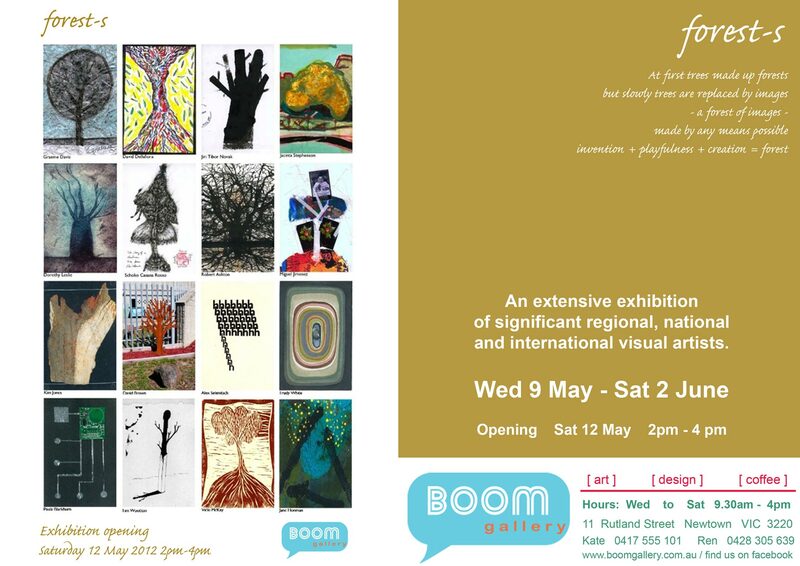 It opens soon at Boom Gallery, so if your about get on down for the opening! 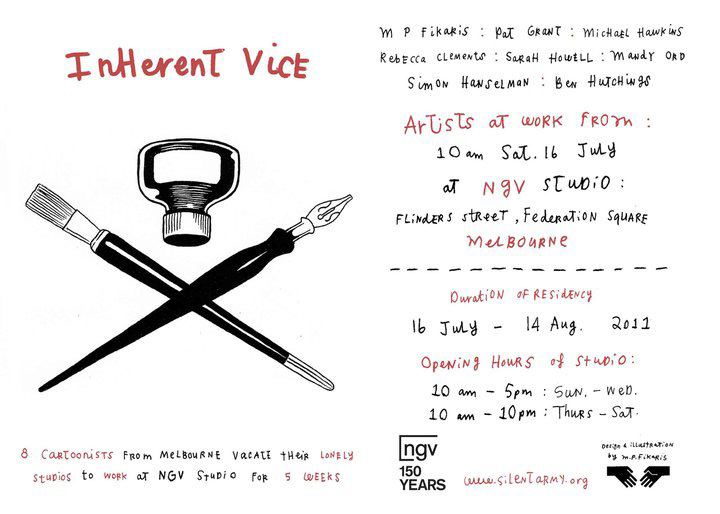 I just found out some of my images have kindly been added to the assemblage wall down at the National Gallery of Victoria’s installation/project space at the moment for the project ‘Inherent Vice’. Put together by M P Fikaris of Silent Army fame…and in collaberoration with Pat Grant, Michael Hawkins, Rebecca Clements, Sarah Howell, Mandy Ord, Simon Haselman and Ben Hutchings. So if your in Melbourne and you have an appreciation for good illustration, comic art and all things small press related, then get on over to the exhibition space and show the artists some love. The group of 8 artists have taken over the space where everfresh were last month(directly opposite Hosier Lane), and will transform the area into their studio spaces and a group exhibition from July 16 – August 14. It will be open from 10am – 5pm Sun-Wed and 10am – 10pm Thurs-Sat. It’s well worth a look! Below is the wall where some of my stuff made it! From my zine ‘Seeing Red’. I have a bunch of archival digital pigment prints for sale in a group show titled Fit to Print, coming up on Thurs 9th Dec. (Opening Night) through to the 23rd Dec. at No Vacancy Gallery in Melb(QV building). 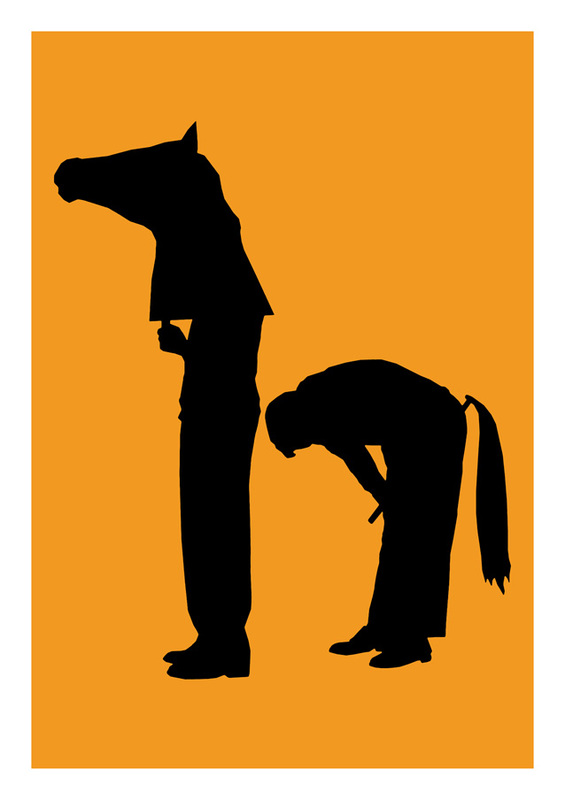 There should be five of my prints on display including my ‘Horseplay – print’ which is on sale for the first time…In an edition of 25. So if your keen get along to the show and have a look or buy some art… there will also be a bunch of other really cool artists on show including Beastman, Braddock, Ghostpatrol, Miso and Twoone to name just a few. So don’t miss it! 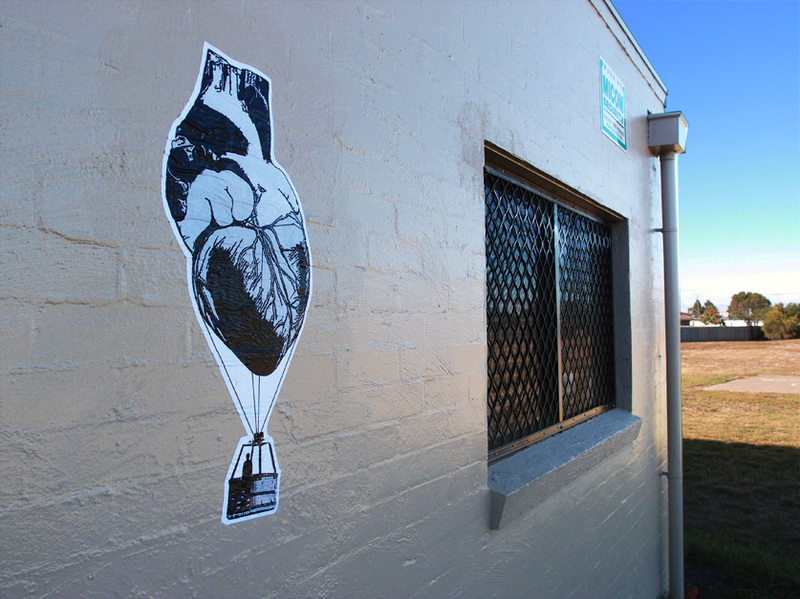 For every print sold over $20 the gallery will donate $2 to the Asylum Seeker Resource Centre.